Dianne Harman has done it again! Another Cedar Bay Cozy that will keep you guessing along with all the character's. And of course all those tempting recipes that Kelly makes for her little eatery (and appear at the end of the book). Kelly knows she has to help her husband even though he doesn't want her to--but what else is new? Mike is running for sheriff and he has some stiff competition this time who will try every dirty trick in the book to make sure Mike loses and he wins. When a movie star falls to her death Kelly knows she just has to find out if it was an accident or murder. So many suspects-all with valid reasons to murder the actress. Kelly has her hands full between keeping up with all the extra customers and trying to get to the bottom of this mystery. I have yet to read any of her books, and they sound so good! I haven't read any of them yet, but I think I should now. I think they would be really good. Thank you. I haven't read any of her books yet. On my summer reading list! I've read approx. 6 of Dianne's books, but own more. I haven't read any from the Coyote series. I would also enjoy listening to her audiobooks as well. Thankyou for the opportunity! When will Mike give in and just ask for her help? I say the screenwriter did it! I am never right. This book sounds very interesting. Especially knowing the dogs will help or hinder. I've read Kelley's Coffee Shop. Have a few of the others but not any in the Coyote series. I have not yet read any but they are on my tbr lost. They all sound great!! 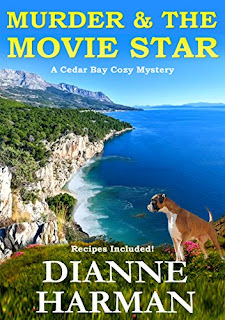 Dianne is a new author for me but I have a couple of her books on my TBR list. This sounds like a good book! I need to see if I can get it on my kindle. I have not read any of the books but would love to. I have not read any of your books ,but I hope too. I've read four of Dianne's books, but own a lot more. I've read Book 1 from the Coyote series and enjoyed it. I have not yet read any books by Dianne Harmon. I haven't read any of her books yet but they sound good. I like a good mystery. I have read over 60 cozy mysteries which are my favorite genre. I love mysteries and find these are very enjoyable to read. I have read a few and I loved them! Looking forward to reading more! Thanks! I have not read any of these myteries yet. I just got one and am excited to read it! Thank you for the chance. I have not read any of Dianne's books before but definitely look forward to doing so! I have actually read all of her books! I haven't read any of her books but I'm definitely going to have to now! These sound great and my daughters would like these too. 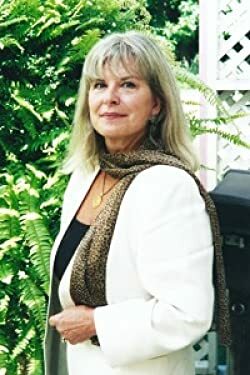 I have not yet ready any of Dianne Harman's books! I read alot of romance...and just got into the cozy mysteries the beginning of the year! These look so good! I actually have a couple of her books, but have not read any of them yet. I will get on that soon! I haven't read any of her books but will .